The Floral Guernsey Annual Awards Presentation and Dinner was held at Les Cotils on 6th September 2018 where there were two entries this year which were Sark and St. Saviour. St Andrews Floral Group who have been hugely helpful in improving the grounds at the GSPCA and won Gold at the 2017 awards had taken 2018 off from the awards for the Parish but have continued hard working around the Parish and headed up by Ann Wragg at the GSPCA. 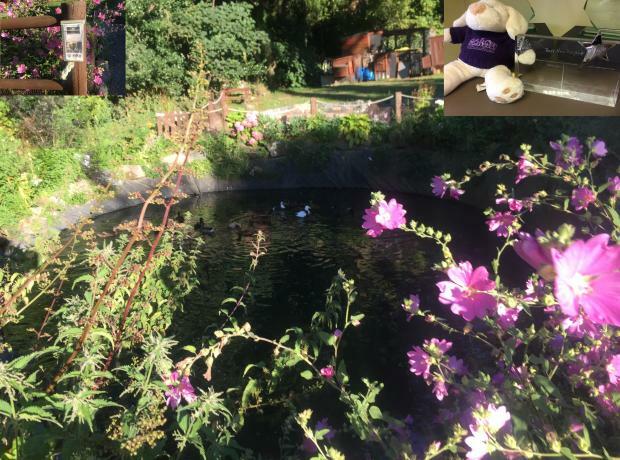 Grounds at the GSPCA have been transformed over recent years and this week the GSPCA team of volunteers and groups that support our work have been busier than usual. Yesterday we hosted the Floral Guernsey Judges Rae Beckwith and Alan Dorey who were visiting the site to see the work we carry out on our grounds for the community and conservation. Last month just short of 30 children from St Martins Primary School enjoyed an Epic Week in the sun at the GSPCA. 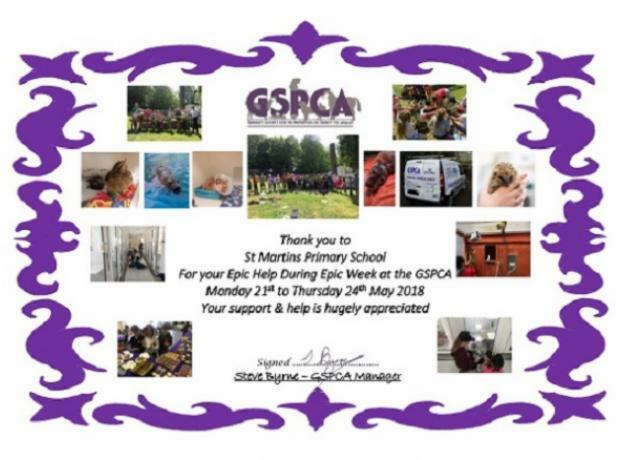 When the children were asked what Epic Week activity they wanted to do hundreds had wanted to come along to the GSPCA but as spaces were limited the lucky children were selected and had their first afternoon at the Shelter on Monday 21st May. Can you help us at the GSPCA with our Memorial Garden? We are currently appealing for granite to help with the landscaping in our Memorial Garden and around site. The GSPCA with the help of St Andrews Floral Group, Work to Benefit team and many others have been improving the grounds for visitors and wildlife and if you have any spare granite we would love to hear from you. Earlier this month the GSPCA and St Andrews Floral Group attended this year's Floral Guernsey Community Competition. 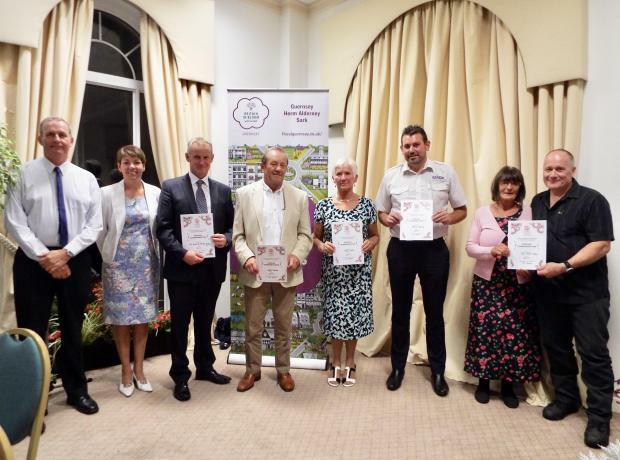 There were four Bailiwick entries taking part in this year's Floral Guernsey Community Competition who were recognised for their achievements at this year’s awards evening including St Andrews Floral Group. Forest secured the overall winning place with a GOLD AWARD and the prestigious Lady Dorey Trophy with Herm and St Andrews also securing GOLD AWARDS and St Saviours a SILVER AWARD. Over the last few weeks a young artist from Blanchelande School has been back and forth at the GSPCA to help provide a stunning back drop to our conservation area. Hemu Khankashi from year 11 has helped provide a stunning mural on a wall facing the pond, picnic area and Poison Garden at the GSPCA. The building has been a very plain beige for over 60 years and thanks to Hemu it has been brought to life with pictures of wildlife and plants adding to the amazing work that St Andrews Floral Group and so many others have helped with around the GSPCA grounds. Last Tuesday just after 1030am the GSPCA welcomed Sue Wood RHS Judge from Harrogate in the UK and Alan Dorey a local judge along with St Andrews Floral Group, their many volunteers and supporters, as well as a number of guests. After a tour of St Andrews Parish with Group Leader Ann Wragg the judging group arrived at the Animal Shelter where the local Floral Group along with scores of supporters and helpers have been transforming the group into a rich and stunning place for visitors and local wildlife. Today the GSPCA with St Andrews Floral Group celebrated the official opening of the first Channel Island Poison Garden, an educational area to help teach pet owners of dogs and cats the plants to take care when planting. This has been all thanks to three major sponsors Vets4Pets Guernsey, Island Dog Training Club and the Guernsey Kennel Club. But the thanks doesn't stop there a major thank you must go to Steve and the Work to Benefit team that have put hundreds of hours into the project. It’s time to vote for the Insurance Corporation Peter Walpole ‘People’s Choice’ Award, an award decided by the people of Guernsey. The Insurance Corporation Conservation Awards 2017 is fast approaching, and it’s set to be another great year! The GSPCA recently hosted the judges from the Insurance Corporation Conservation Awards 2017. 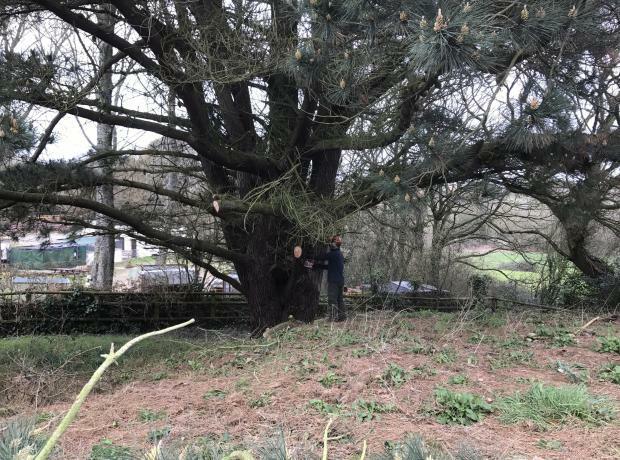 The GSPCA would like to say a huge thank you to Herm Island and Jono Bailey who have recently helped us care for some of our trees on site at the GSPCA. Jono is a tree surgeon and from Herm Island we kindly were able to borrow fuel and a chain saw. Jono lived in Herm for over 20 years and also worked on the stunning and pretty island so many love to visit. When Herm island heard about the work needing to be done at the GSPCA they wanted to help out and kindly allowed Jono to borrow the chainsaw.